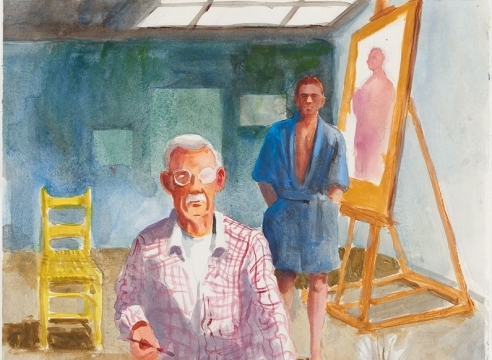 Sullivan Goss - An American Gallery is proud to announce the first posthumous exhibition of painting and drawing from the Estates of Paul Wonner (1920-2008) and William Theophilus Brown (1919-2012), two important artists of the original BAY AREA FIGURATIVE MOVEMENT. 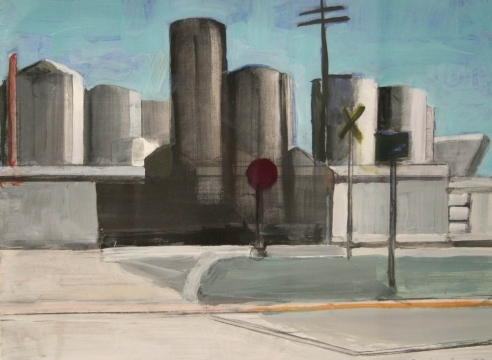 The gallery is grateful to the William Brown and Paul Wonner Foundation for their willingness to help organize the exhibition and make work available for sale. The Bay Area Figurative Movement was “formed” through the curatorial efforts of Paul Mills at the Oakland Museum in an exhibition called Contemporary Bay Area Figure Painting; it is generally seen as a reactionary move by painters like David Park, Richard Diebenkorn, and Elmer Bischoff against the prevailing orthodoxy of Abstract Expressionism in San Francisco from 1943 until 1950. It is written about as both revolutionary and as a return to normalcy – and even domesticity – in the Eisenhower years. As such, it would be a mistake to pigeonhole their work as only or specifically “gay.” True, they both painted male nudes. They also painted male bathers. Brown insisted that his male nudes were intended to bring parity to the representation of female nudes in galleries and museums. 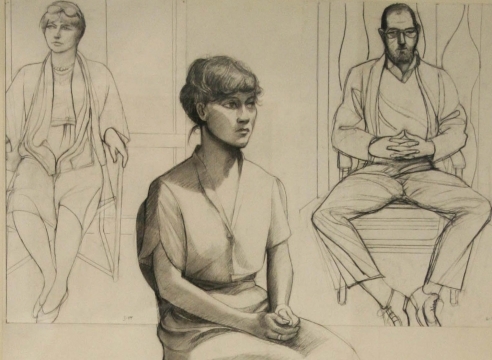 Of course, these tropes were also explored by Park and Diebenkorn – probably as expressions of their interest in the images of painters as diverse as Matisse, Cezanne, Renoir, Manet, and even Boucher and Fragonard. Figures in the landscape and indoors provided a structure of shapes upon which they could lavish color, gesture, a sense of poetry, and even their psychology. 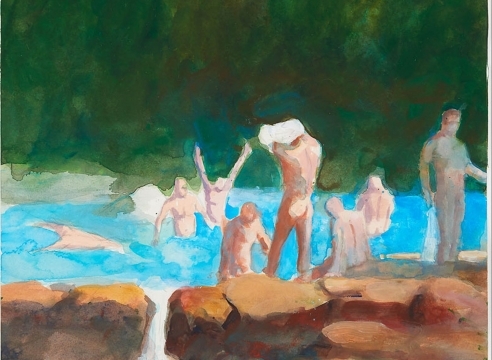 Ultimately, what distinguishes their work – and that of the Bay Area Figurative Movement generally – is not so much the distinction of figurative work from abstraction, but the elimination of that distinction as arbitrary and unnecessary. One might even say that their work reconciled abstraction and figuration. Similarly, the victories of the Gay Rights Movement of the last sixty years have also been about equality and reconciliation. 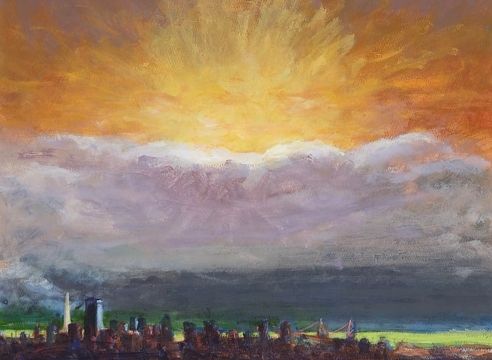 In this context, Wonner and Brown’s relationship takes on a special resonance. That two men shared a home together in that time was both revolutionary and yet somehow conventional. They built not just a life together, but a body of work that was recognized as beautiful and important by museums and galleries across the United States. 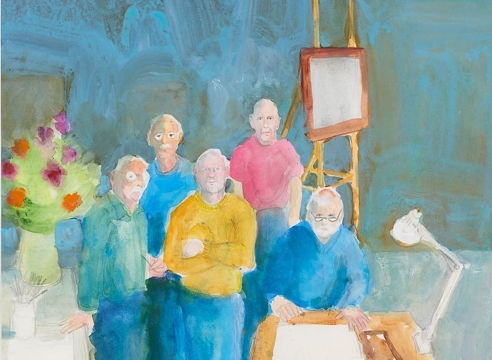 The William Brown and Paul Wonner Foundation exists to support the continued appreciation of their work. Money from the sales of paintings, meanwhile, will go to support gay causes like the Horizon Foundation in San Francisco who support issues important to the LGBTQ community. William Theophilus Brown trained at Yale and UC Berkeley. He hung out with Picasso in the 1940s. He painted with Giacometti in Paris in 1950. He knew de Kooning, Gorky, and Kline in New York. His move to California was inspired by his desire to establish his own identity apart from the galaxy of art stars in which he moved. 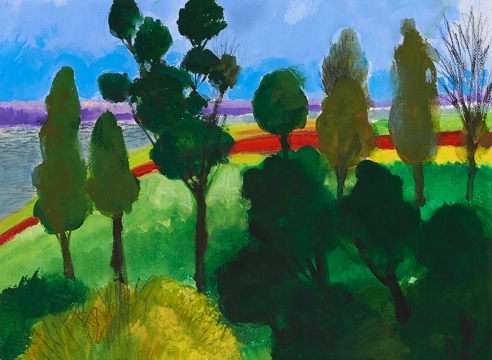 He found early success with a series of painterly, post-Cubist “football” paintings that were reproduced in Life magazine and in subsequent exhibitions at the Felix Landau Gallery in Los Angeles. His work is held by the San Francisco Museum of Modern Art, the M.H. de Young Memorial Museum, the Metropolitan Museum of Art in New York and the Hirshhorn Museum at the Smithsonian, among others. 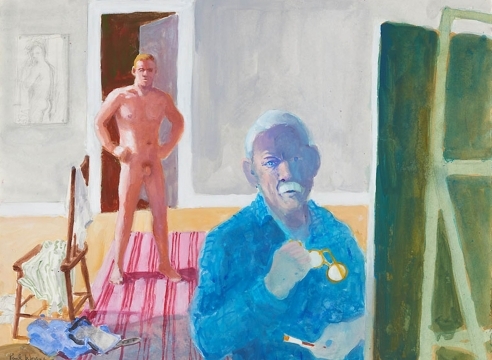 Paul Wonner studied at the California College of Arts and Crafts and at UC Berkeley. He workshopped with Motherwell in New York. 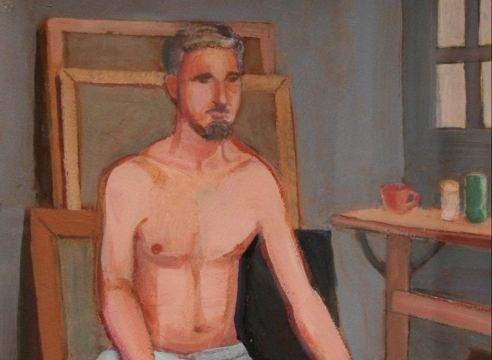 He and Theophilus Brown later shared studio space in the same building with Richard Diebenkorn and even moved to Santa Monica when Diebenkorn was there. 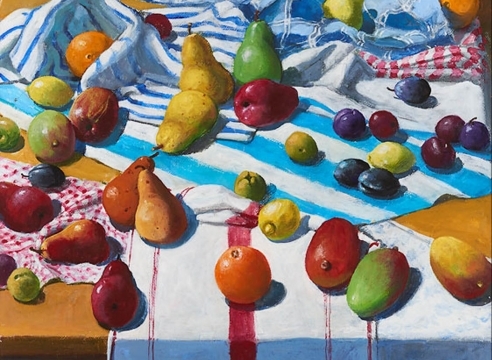 Paul Wonner taught at Otis Art Institute, at UCLA, and at UCSB from 1968-1972 (where he mentored the gallery’s own Hank Pitcher). His works are held in many of California’s finest museums, as well as the Kemper Museum of Contemporary Art, the Smithsonian, and the Guggenheim.